There are a number of free apps that can help travelers navigate around Hong Kong. If you’re visiting Hong Kong for just a short time, these mobile apps can make the most out of your stay by showing you spots and shops that are worth visiting. Smartgagets have truly become essential tools in a traveler’s life. Thanks to the development of technology, entertainment, travel, and other helpful apps can literally be viewed on top of a user’s palm. Bear Group Ltd., a company that operates a number of entertainment sites including Spin Genie, is a purveyor of the concept of “play anywhere.” It is because of companies like them that people can now view software not only on personal computers but on smartphones as well. Here are three useful apps that you can use when visiting Hong Kong for the first time. This is an all-in-one app for visitors of Hong Kong. It can literally create an itinerary for you from a directory of over 500 tourist spots in Hong Kong. It has ratings, pictures, and reviews to help you decide where you should go on your limited stay. If you’re lost, the Hong Kong Travel Guide app can help you locate where you are and find the nearest train or bus station. If you had fun with your travels, you can create postcards with the app and send them to your friends and family via email or Facebook! Do you like reading up on a culture’s history? 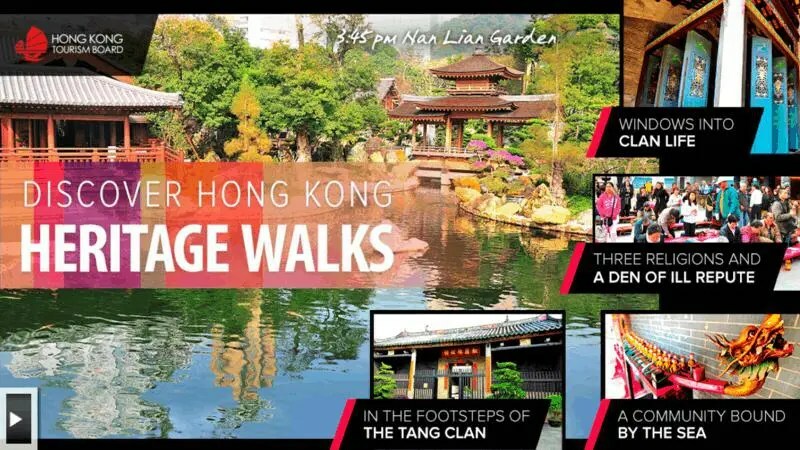 If yes, you should download Discover HongKong:Heritage Walks. It has all the information you need to know about the region’s walled villages, fishing communities, and important people. What’s great about this app is that you don’t need access to the internet to see the points of interest in Hong Kong. Hong Kong Map and Walks has a Lite and paid version. The Lite Version shows users information about walking tours but the navigation feature is disabled. Download the Lite version only if you want to use the city map or learn about the tours offered in Hong Kong. However, if you want to join a walk, you must download the full version to see the detailed tour route maps and turn-by-turn directions dictated by the app.